Men have been dreaming of having wings from ancient times as it gives them freedom to go anywhere. Wings also represent the ease of movement, flexibility etc. Some wings tattoos like Eagle, dragonfly wings are believed to bring prosperity, luck to the wearer. 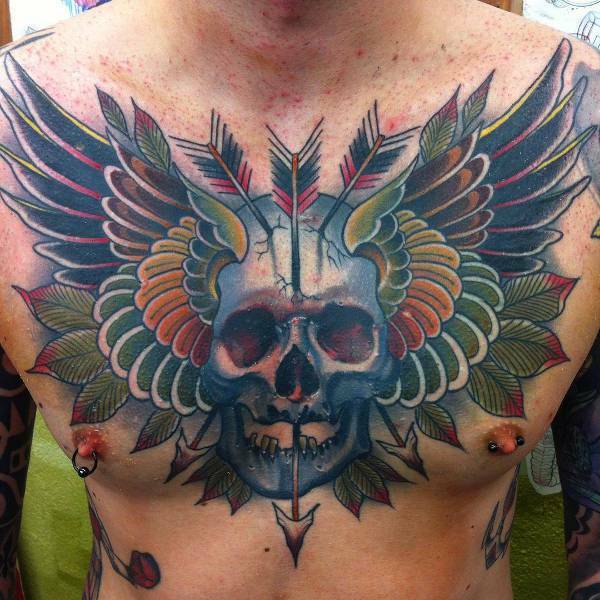 The angel tattoos are believed to protect the family. The butterfly tattoos are believed to bring luck, prosperity etc. 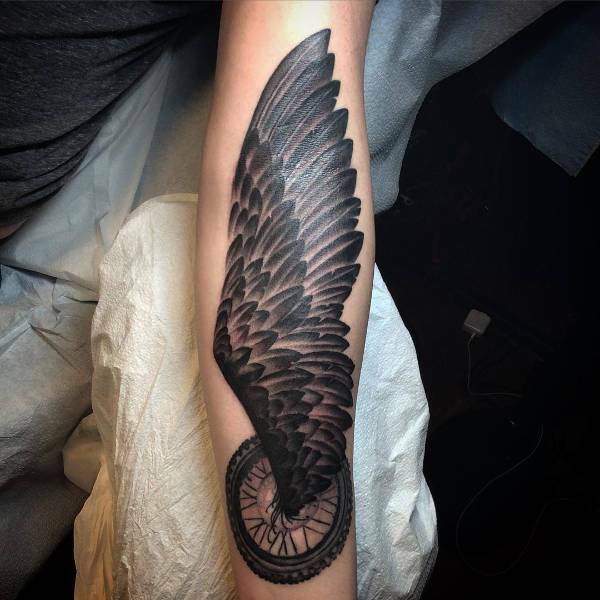 There are many variations in wings tattoos and each of the tattoos has a different meaning. Angel wing tattoos are believed to provide protection to the wearer of the tattoo and his/her family. The tattoo also is believed to guard the wearer from evil forces. There are many variations in angel tattoos and they look on shoulders, back etc. in big size. They look good in plain black/gray with shadings or colored with bright colors. Eagle wing tattoos are loved by many tattoo lovers as they represent freedom, strength, protecting the family, determination etc. As Eagle fly very high in the sky, the eagle wings are considered very powerful. 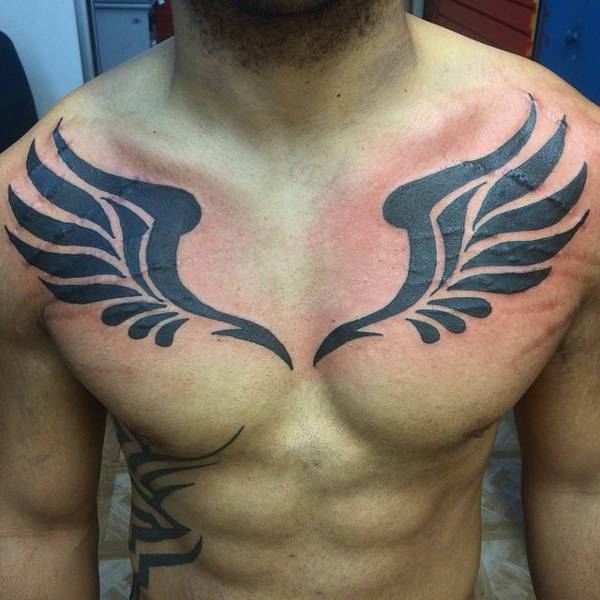 The eagle wing tattoo looks great on shoulders, back etc. 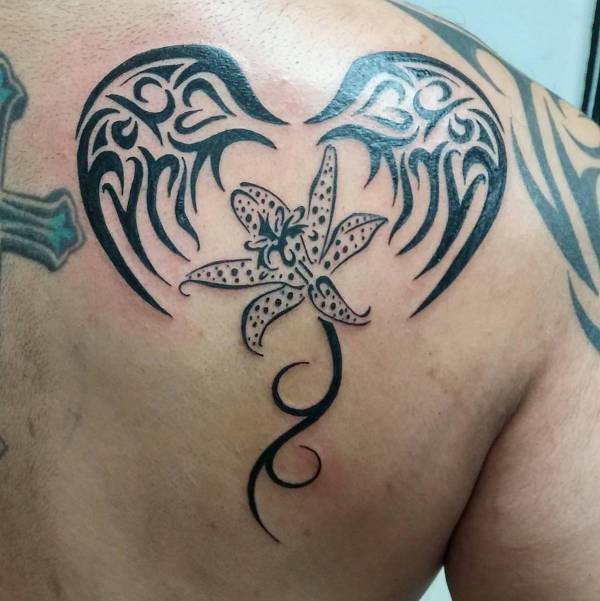 Tribal wing tattoos are inked with swirls, curls and beautiful patterns. The tattoo is drawn as a print and there won’t be any shading usually. These tattoos look great in any size and they can be inked on back, shoulders, ankles etc. 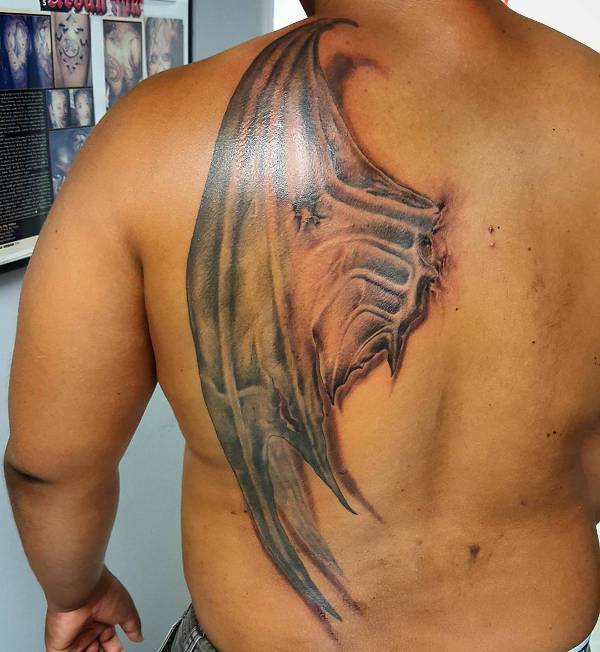 Devil wing tattoos are loved by many tattoo lovers as they would love to express their freedom and ‘doing what they like’ attitude. 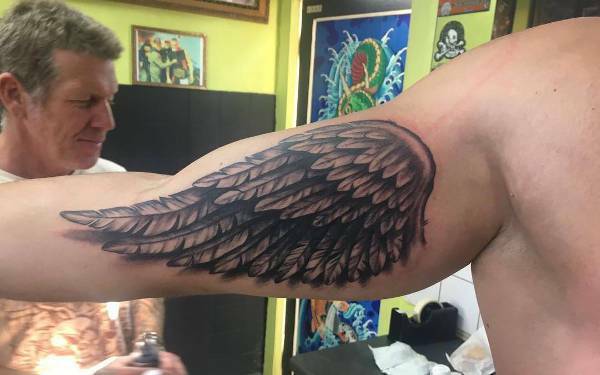 The young men and women especially go for these tattoos particularly as the tattoo looks great with red and black colors which are used differentiate from angel wing tattoos. 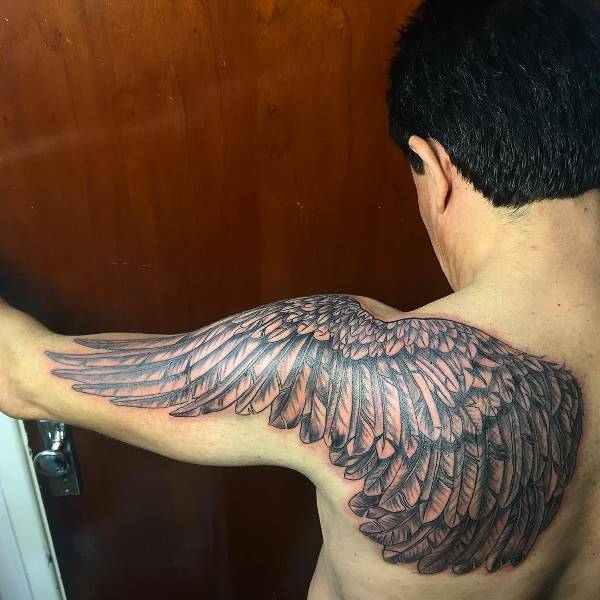 Wings tattoo on the back looks great either in smaller size on side of the back or on both the sides. 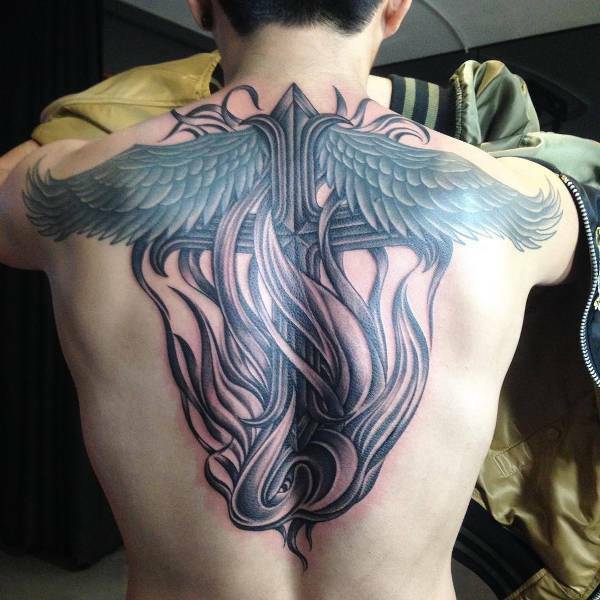 The wings tattoo looks intensified when inked in bigger size on the back. 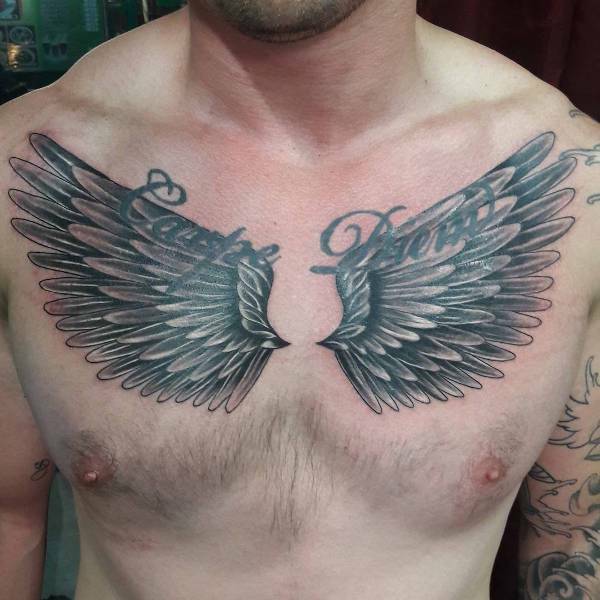 These wings tattoo on the back changes the overall look of the person and adds a magnanimous look when inked in a bigger size. 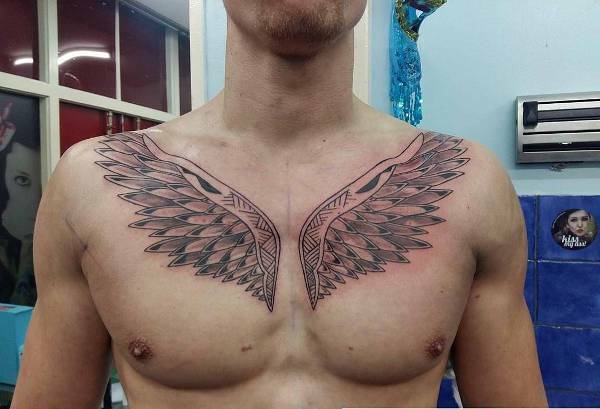 Wings tattoo looks great on sleeves as the muscles add extra strength and beauty to the design. The size and the color depend on the individual choice. 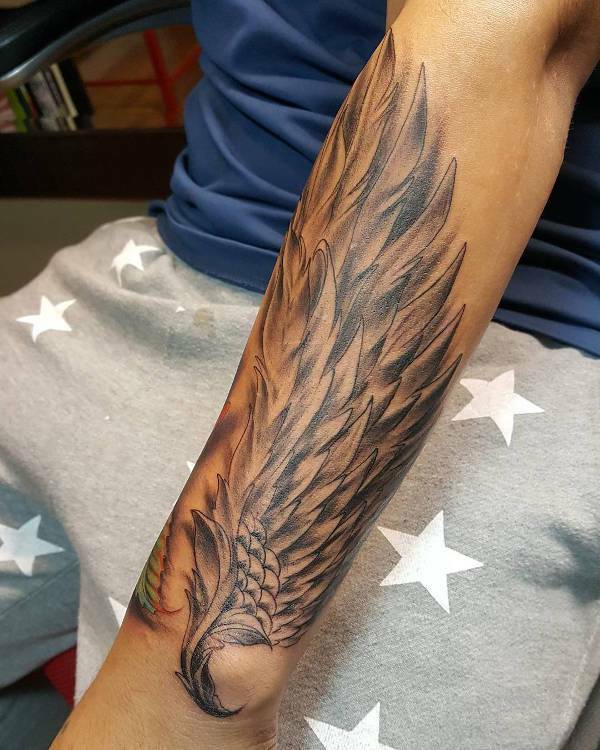 The placement of the tattoo plays an important role and wings tattoo on the sleeve is an apt choice as hands are a replacement of wings in human beings. 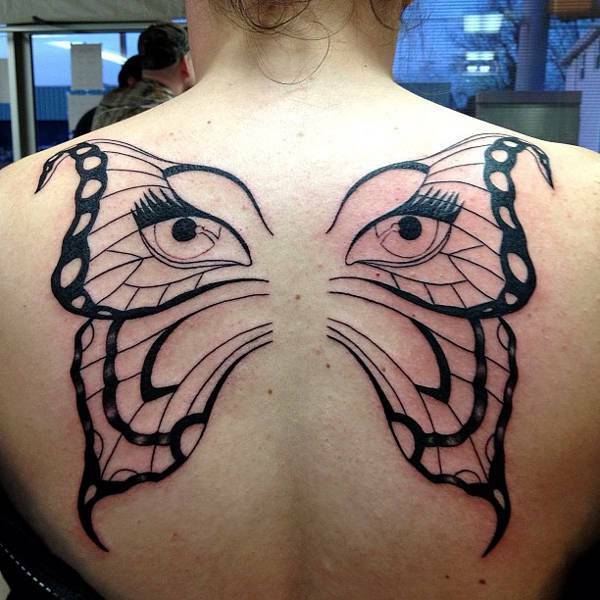 The butterfly wings tattoo look beautiful and cute. 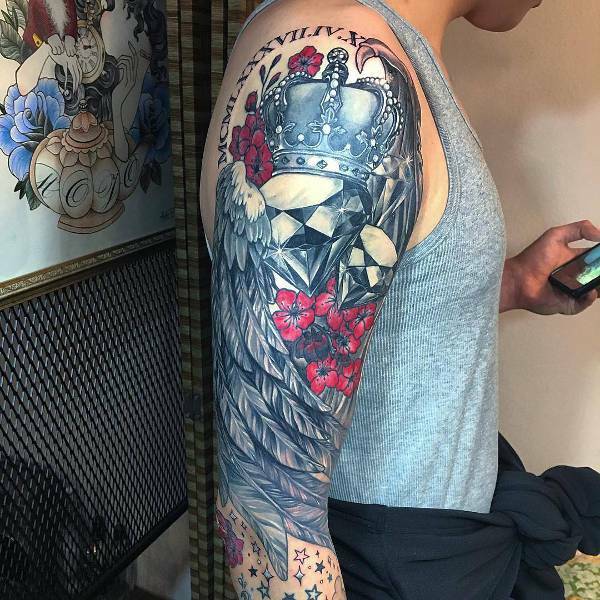 They are liked by many tattoo lovers especially women as they can be inked in a smaller size on the neck, ankle, wrist, fingers which can be concealed easily. Dragonfly is a beautiful creature with its shining wings. The dragonfly wings are believed to bring success, prosperity, luck etc. Another advantage of dragonfly wings is that they can be inked anywhere. 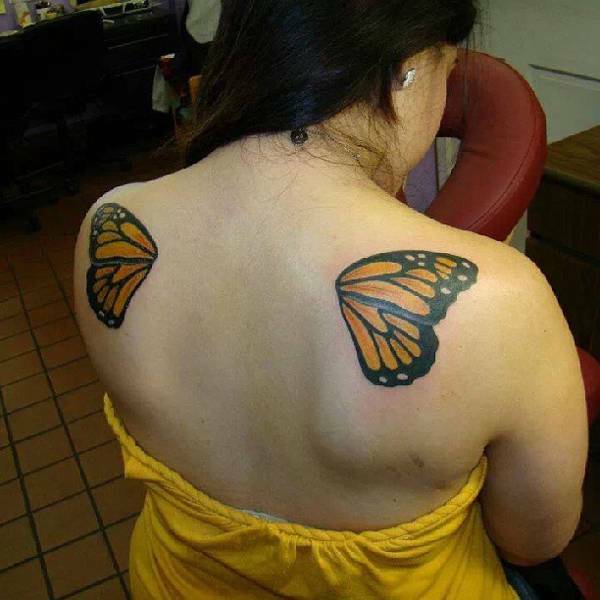 This tattoo looks really cute and beautiful when done in 3D as it gives a natural look. 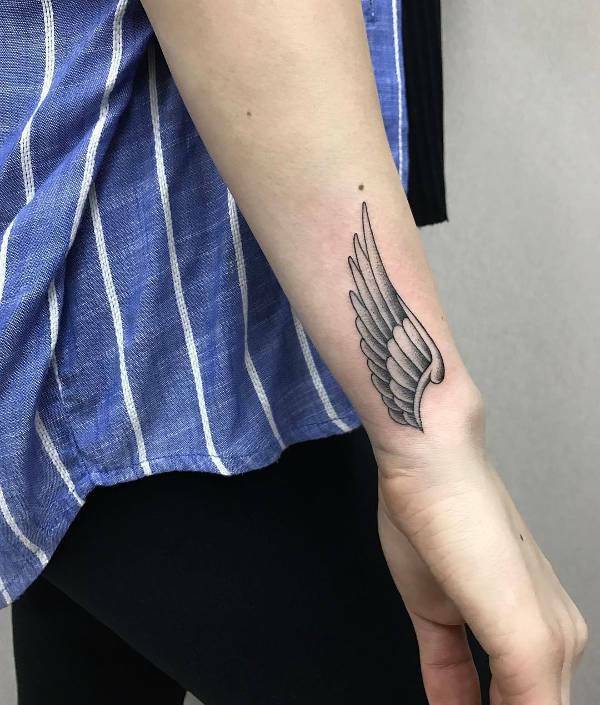 Small wings tattoo is loved by everyone especially women. The advantage with small wings tattoo is that they can be inked anywhere and they look really cute. 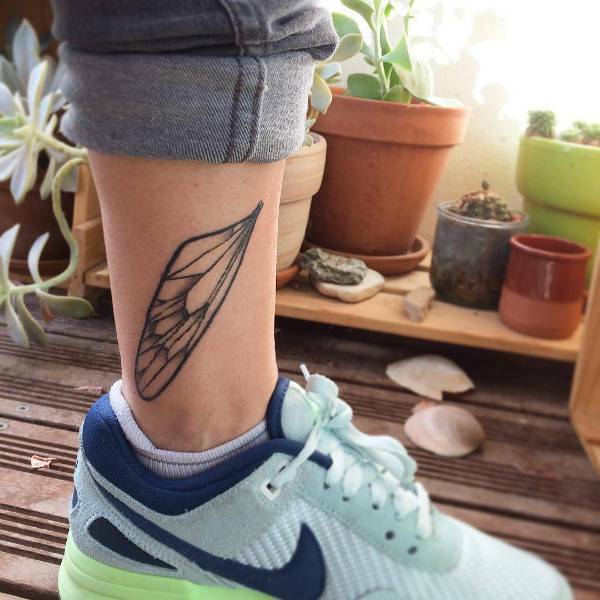 The small wings tattoo looks amazing in colors or gray/black. 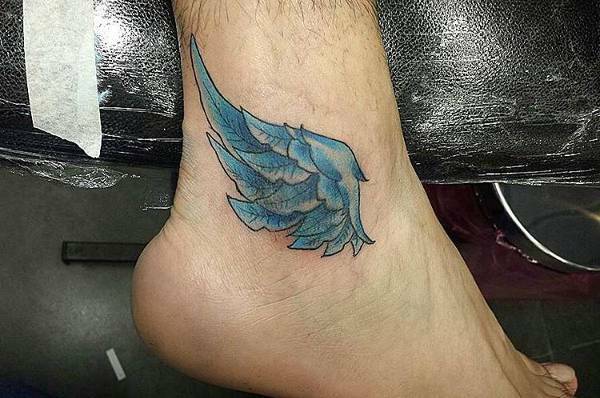 The wings tattoo is loved by both men and women. 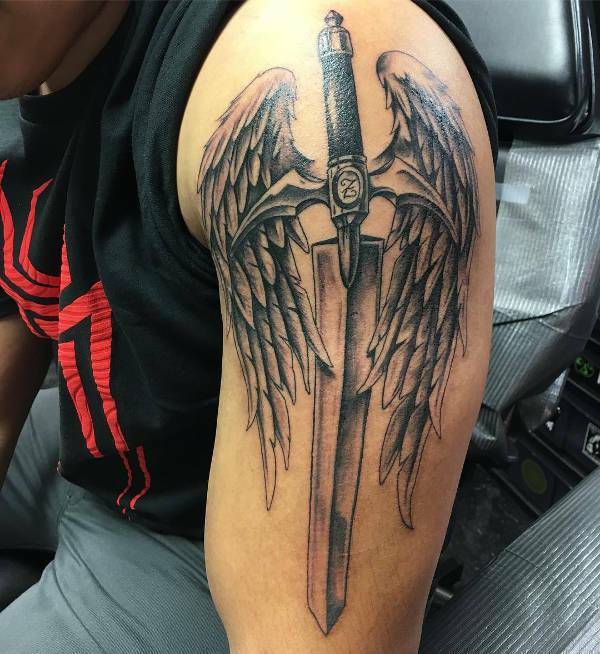 This tattoo is especially loved by young men and women as they can express their freedom, strength, determination, protection etc. The wings tattoo looks great on shoulders, back, arms etc. 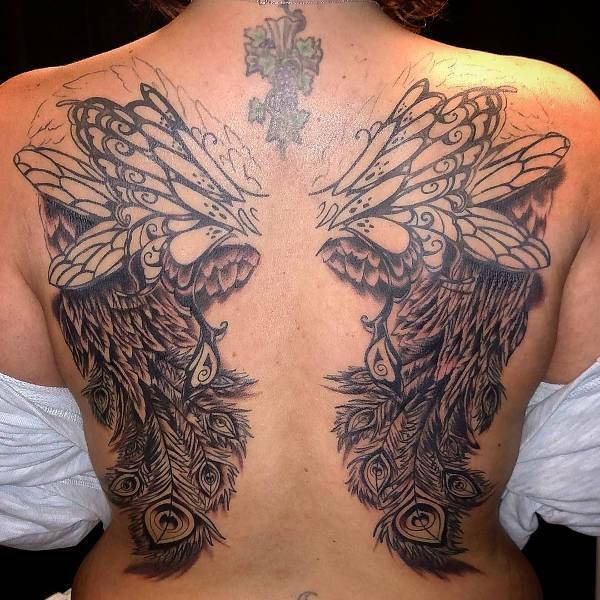 The wings tattoo looks great as a back tattoo.